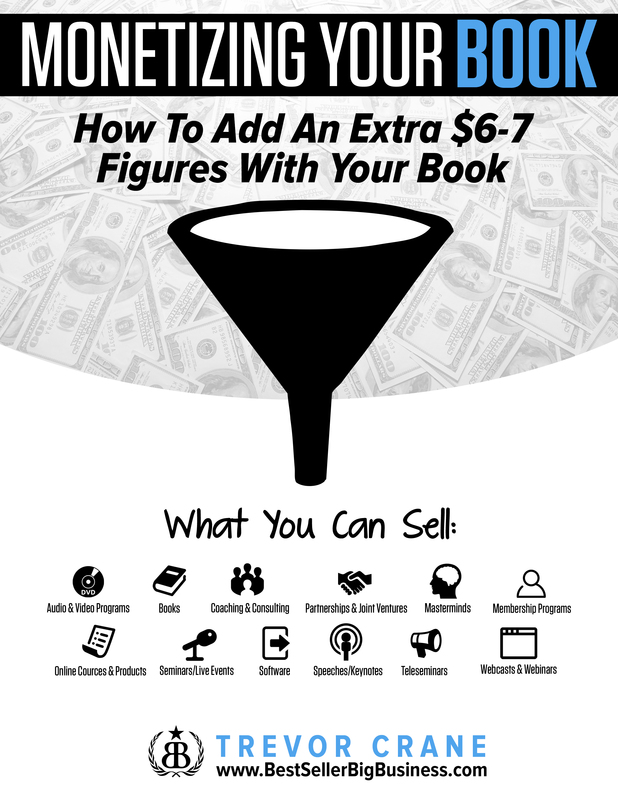 Hey guys, Trevor Crane here again, and I wanted to share some awesome information with you about how to monetize your book, so that you can add an extra 6 to 7 ﬁgures to what you’re doing – and I ﬁgured this is really cool because it was another opportunity for me to just sit down and connect with you. But now let’s jump into some of the ways that you can actually make money with your book! The average person won’t make a ton of money from their book. Most books will only sell a few copies. Because they don’t have a business behind their book. In fact, I know of two cases where people had a #1 New York Times best selling book, plus they’d gotten their 15 minutes of fame on the Oprah Winfrey show; yet, they were still struggling so much that they had to hire someone, one of my mentors, to help them promote their books and their business. He shared with them exactly what they have to have in place to monetize their best sellers. I’m gonna give that same advice to you right now. 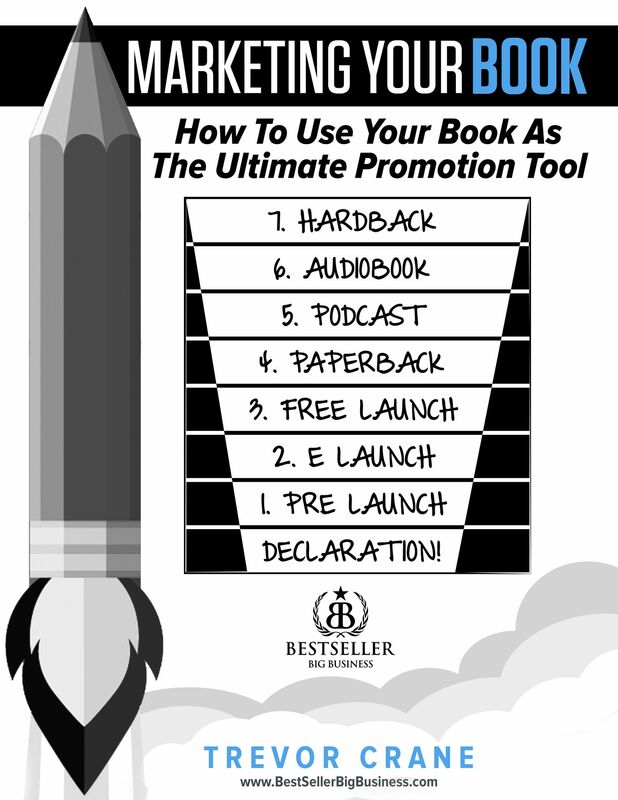 So make sure if you haven’t done so already to download the PDF that gives you 12 different ways that you can monetize your book. Now, you can pick any of them and they’re all awesome, but I want to talk to you about 4 that I have used myself and made a bunch of money with. Each of these can help you add an extra 6-7 ﬁgures to your business. Let’s look at the ﬁrst one. I think this is the one that everybody should have. Consider a place online where your readers can go an buy an online product from you. One that requires none of your time, or energy, or resources to deliver. You just get paid. And your client just get’s your value. Good questions. And, I’ve got you covered. 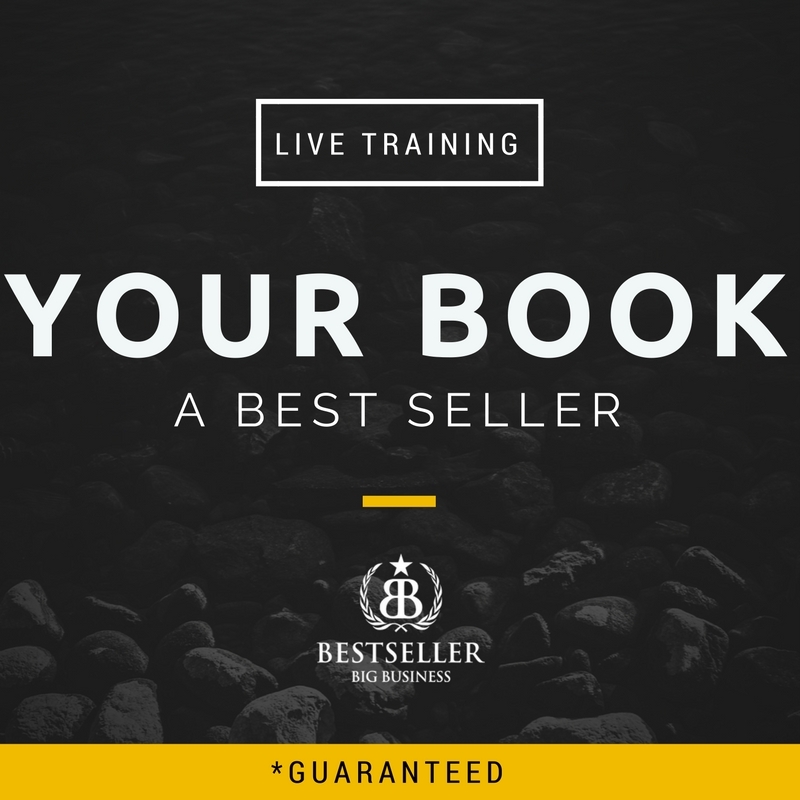 Your course can contain the same content as your book. Sure it will have differences. But, think of it as a natural progression, that gives people even more value than just your book. It’s in a different format, one that people can more easily consume and apply, and most importantly get results. Think of this as how you can really help your audience learn, understand, and implement your message. You can charge as little as a $97 or all the way up to $30,000 — you decide. Yes, there many different possible price points, but let’s use an average price of a course, let’s say it’s around $1,000. If you have a $1,000 course, and you get 25 people a month to buy that online course, the money starts to add up. 25 people a month, times a $1,000 equals $25,000. Multiply that by 12 months, and you’ve got $300,000. If you don’t know how to sell that right now, or how to get that many people to look at your book, and buy your program, that’s okay. I didn’t either, until I learned. Now, you can enter the numbers that are appropriate for you, for your product or service. Maybe you charge a lot more, maybe you charge a lot less. Think about what that extra income would mean to you. And if you’re thinking, “Well I don’t have a product right now,” that’s OK.
That’s part of what I’ll help you with. I can help you strategize about how to get that product out, and make it awesome, and better yet… get it done really, really, really fast. That’s why I think an online product is such a great example. 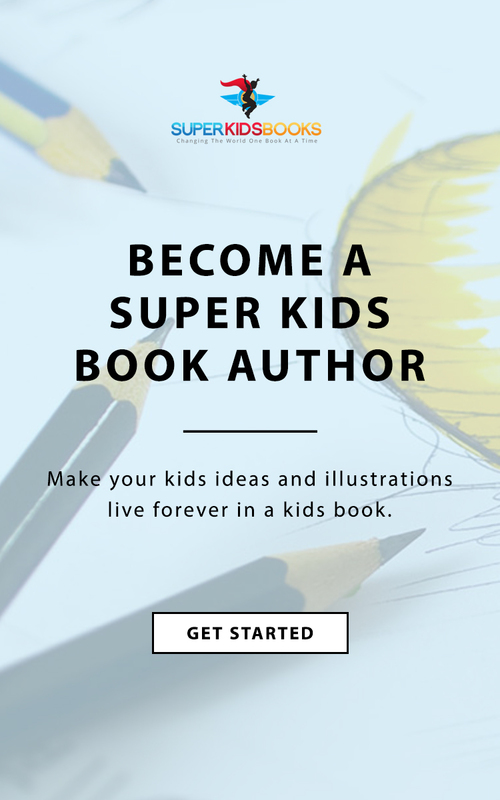 Anyone can do it, and adding extra income like this is a powerful way to monetize the backend of your book, plus it helps you help even more people. This is one of my favorite strategies, and one of the ﬁrst things I chose to sell, when I wrote my ﬁrst book. I monetized my ﬁrst book by offering coaching and consulting. For years, I’ve worked with people one-on-one, or in groups to help them generate more revenue and make more money in their business. How much can you charge? Most people start anywhere from a $1,000 a month to $10,000 a month, and even more. Let’s say you only got 10 coaching clients that pay you $2,500 a month. Well, 10 x $2,500 is $25,000 a month. Now, if you’re not sure how to be a coach or offer consulting, don’t worry. That’s okay. I didn’t either, until I learned. And the best part about this, is that I have found that “helping people” as a coach and consultant, is one of the easiest and most rewarding ways I serve people. Coaching and consulting can also be one of the most leveraged ways for you to add extra income to your business. All without costing you a bunch of extra time. Think about that for a moment… in this example, you only need 10 clients to earn an extra $300,000 a year. 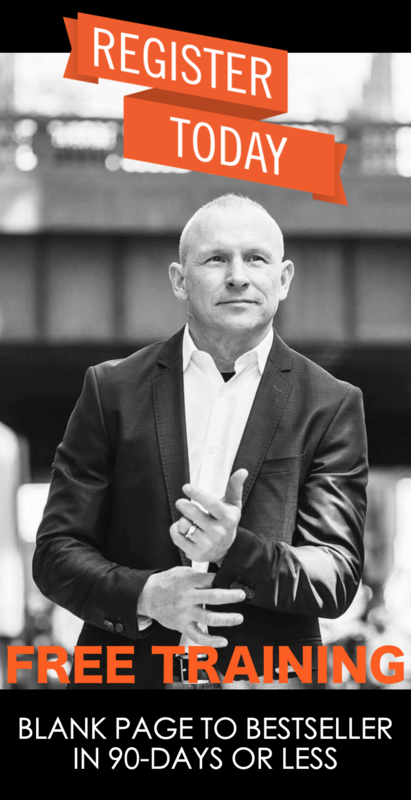 Today, one of the MOST POWERFUL ways I help people is through my Bestseller Mentoring Program. In this program, I get to work personally with you to help you publish their book, and grow your business at-the-same-time. My favorite thing about this program are the RESULTS, my clients get, and the SPEED and EASE at which they create them. Below is a snapshot of a promotional postcard we made to show case some of the results from my mentoring clients. I’ll mention one more money making strategy here as a bonus. It’s called a “Done For You” service. This would be something that you can (and want to) do for people, and of course, this depends on your business. Perhaps you can build them a website, or write their business plan for them. If so, you have an additional “upsell” that you can offer people. Two of my done-for-you services are to build their book, and their business for them. My team will do 95% of the heavy lifting, and just build everything for a select few of my clients. NOTE: I don’t do this often. And I don’t like to take on more than 2-3 of these clients at any one time. Why? Because they take so much time and attention. Get creative I don’t know, this is YOUR BUSINESS. I’m just trying to give you different strategies to help you can earn an extra 6 to 7 ﬁgures. Another option that’s a really good ﬁt for many people is a membership site. I have a membership site with a partner of mine, it’s called the Boss Business Blueprint, and we’re teaching people business skills. We teach a webinar every week and charge a monthly membership fee of $500 – that gives them access to the weekly trainings. Let’s say you only charge $50 a month. Maybe you give away a free trial for 2 weeks or something, and then they upgrade to your monthly fee. Let’s just say you get 500 people enrolled in your course, and they’re paying you $50 a month. Month after month. How much would that be? That’s $25,000 a month. Or $300,000 a year. The important thing for you is to get creative and ﬁgure out “how” to make something like this happen. You don’t have to do all of these. My suggestion is to just pick one, and you can adjust the numbers so they are appropriate for you. Maybe you charge less, maybe you charge more. It’s up to you. If you add those income streams together, and you’d increase your annual income by $750,000. But, this is fun so let’s look at one more. This is another strategy I absolutely love and I believe offers massive value to your clients. A mastermind is a like-minded group of people who share a common goal. I’m a part of two masterminds right now. There’s generally a mentor, or a group of mentors, that lead the group. Not only do you get personal access to the leader (or leaders) in the group, but even better is access to being part of the community. 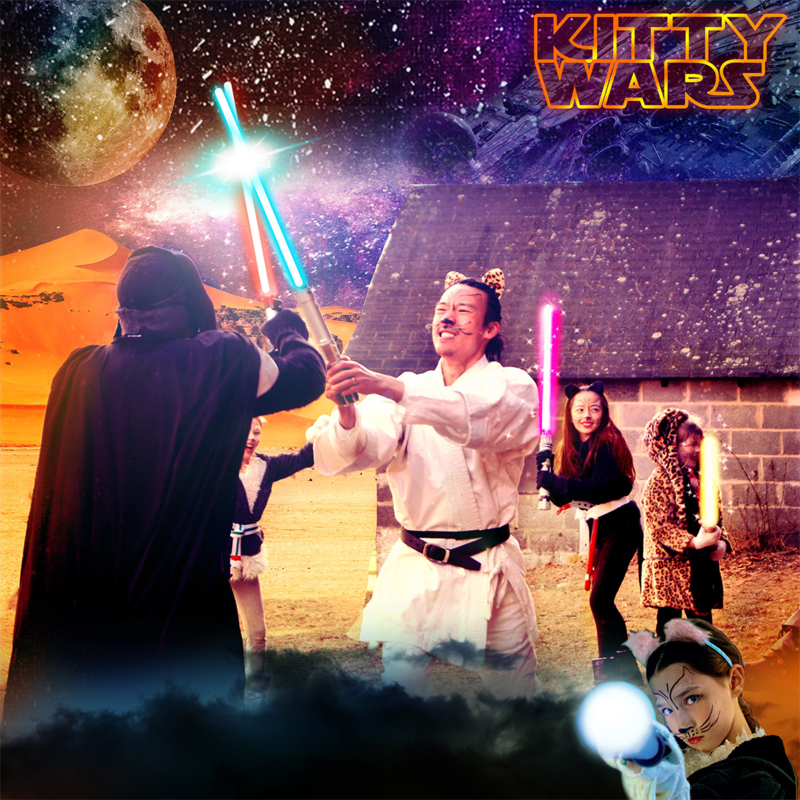 Masterminds can be a ton of fun, where people often getting together for private events or other awesome group activities. In my mastermind, we also do retreats. We take all of our clients and go someplace and we do something really cool. Our next trip is to the Bahamas, where I used to live and work, and we are going to have a BLAST!!! NOTE: I ﬁnd that when people pay for a mastermind, they get a tremendous amount of value out of them, and create bigger and better results. You’ll also ﬁnd a higher quality of people that participate in that mastermind. But let’s look at pricing. What can you charge? You can price that anywhere from $10,000 to a $100,000 to join your mastermind. And I know people that do both. Let’s say an average price point is $25,000. Let’s say that you just got 10 people in your mastermind. 10 people X $25,000 and you make another quarter million dollars. Now obviously, this is not for everyone. Not everyone who reads your book is going to want to invest that much with you. And, it’s certainly not always appropriate for people to do so. However, for certain people, this is will be a perfect match, and you can do your best and most transformational work with them. Yes, that comes with a little bit of a higher fee. Which is good for everyone. What I have found, is that when people invest more in themselves, half of your work is done. 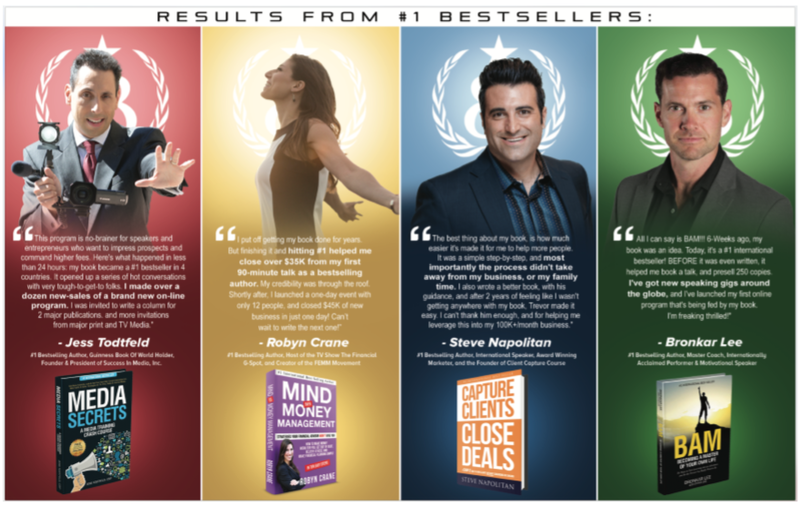 These people create bigger, better and faster results. Period. “If” you were to actually implement all of those. But, you don’t have to implement all of them. These are just examples of what you want to set yourself up strategically, before you even write your book. This of what is your book gonna lead people to? These are the things you want to consider ﬁrst. When you BEGIN WITH THE END IN MIND, you are able to more strategically build the book, and business that will support “how” you want to spend your time and “what’s” gonna be the most valuable thing you can give your clients. I hope this has been valuable for you. Again, I can’t wait to see you on the webinar. 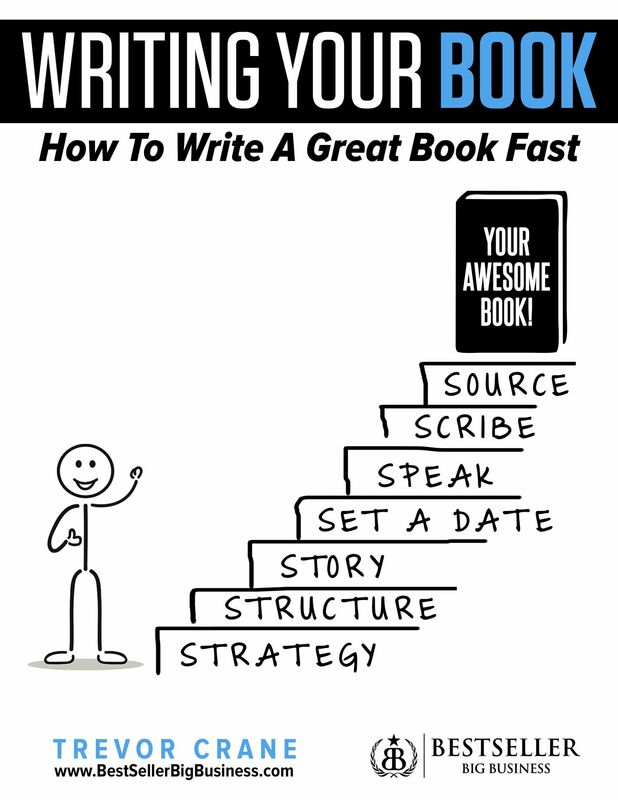 On it, I’m gonna cover even more greatness about how you can write a really great book really fast, and build a big business at the same time. 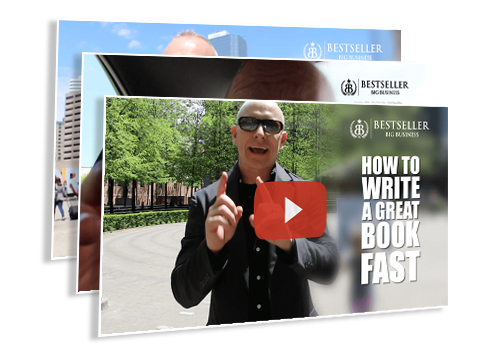 I also want to invite you to join my Bestseller Big Business program, where I’ll partner with you personally for the next 90-180 days to help you get your book done, and published, and amazing. Your book will help you build TRUST with your new potential clients, and spark a DESIRE in them, so they wanna buy from you. Make sure you download the PDF, I can’t wait to see you on the webinar and I’ll talk to you soon.